Born and raised in Erie, Pennsylvania Jamison grew up on one on of the countries great lakes, learning to navigate the rivers as an angler. By the age of 20 Jamison was a successful mechanical designer, but was unsatisfied with the accomplishment. Longing for a change of scenery he perused his passions on the rivers as an angler out West.The mountains awoke the inner spirit of travel and culture within Jamison. He went on to obtain his second college degree, which landed him a long career as an experienced Ranger with the National Park Service. He helped protect some of America’s greatest treasures including, Yellowstone, Yosemite, and Delaware Water Gap. A true “jack of all trades,” Jamison is skilled, certified, and accomplished in many professions. He has worked in/as a Federal Law Enforcement Officer, Wildland Firefighter, EMT, Search and Rescue, Mounted Horse Patrol, Fly Fishing Guide, Probation officer, and much more. In his spare time, you will often find Jamison climbing, practicing yoga, hiking, fly fishing, and/or teaching others to do the same. Jamison wanted a way to share his wealth of experience and knowledge with others. 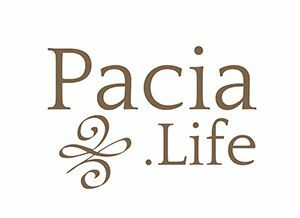 As director and lead life coach at Pacia Life Portland, Jamison has found a way to do just that.